All profits will go to fulfilling Barclay's vision of creating a charity focused on teen suicide prevention and supporting LGBTQ youth. 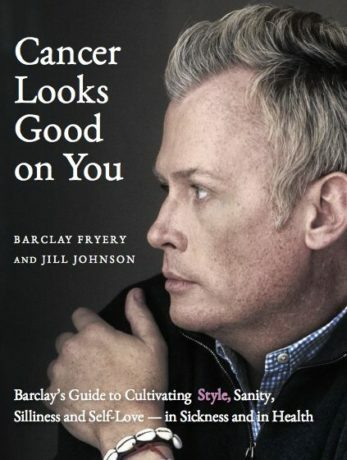 Cancer Looks Good On You is the most uplifting cancer story you will ever read, because it is about a man who chooses to seize the day, not count how many days he has left. From his youth as a tormented gay boy in the Deep South to his rise to the top of the design world, and from discovering a lump in his neck to planning his after-party, Barclay tackles life’s challenges with grace, humor, and indomitable optimism. Barclay’s Guide to Cultivating Style, Sanity, Silliness and Self–Love—in Sickness and in Health shares wisdom that will help you make over your house, your attitude, and your view of the end. This book is for everybody but is a must-read for anyone struggling with illness or yearning to know how to support someone who is.